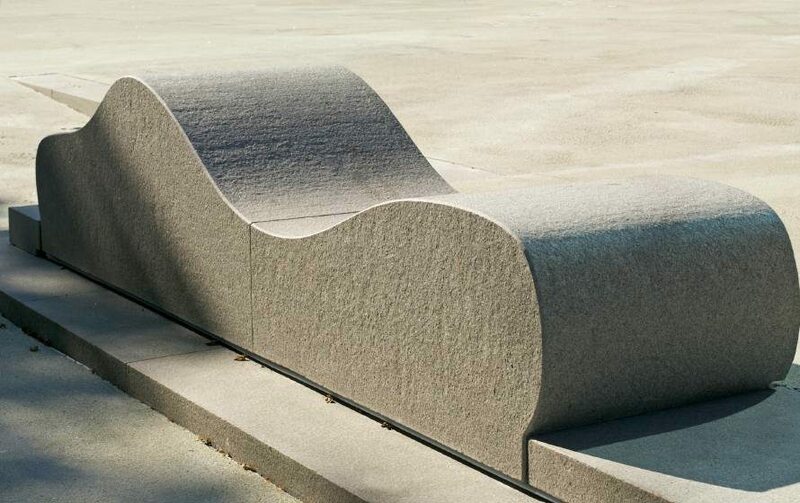 (March 2008) In unusual shapes, the landscape-architects designed the benches of stone in front of the schience center in Bergen, Norway: the benches are formed like waves of the nearby sea. The design is intended to attract school-children to stay at to square, which is to sit, to lay down or to play, and, more than this, to take the themes of the center to the outside. The main subjects of the center are oceans, climate and energy. 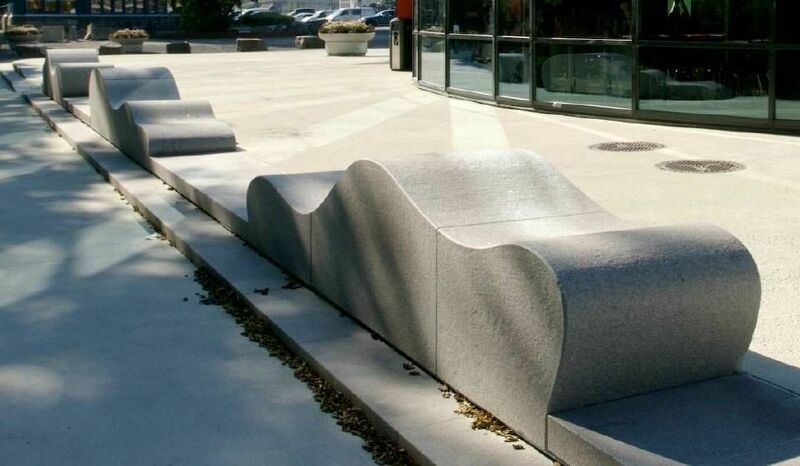 The three benches are made of Norwegian Iddefjord-granite which flamed surface. They were produced by Jogra Steinindustri AS, a company located in Borgenhaugen in Norway. The design was developed by the landscape-architects Smedsvig Landskapsarkitekter AS. Bergen is the second-largest city of Norway. It is located on the west-coast of the Inner Byfjord, so to say right in the northern direction from Amsterdam. It is known for its port, the shipyard-industry and its university, which has earned merits in the fields of marine biology and geology. The science center is named Vilvite (Norwegian: „want to know“) and has a webpage.